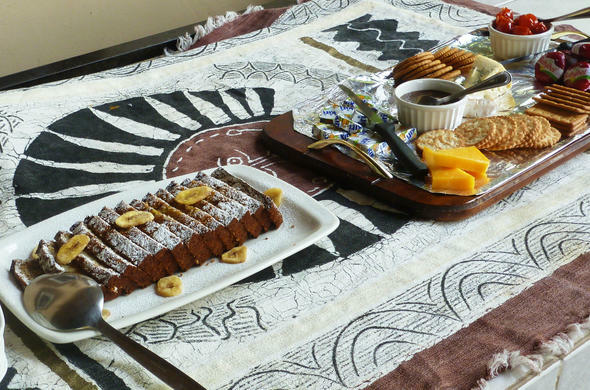 One thing that many safari tours do well is feed their guests. 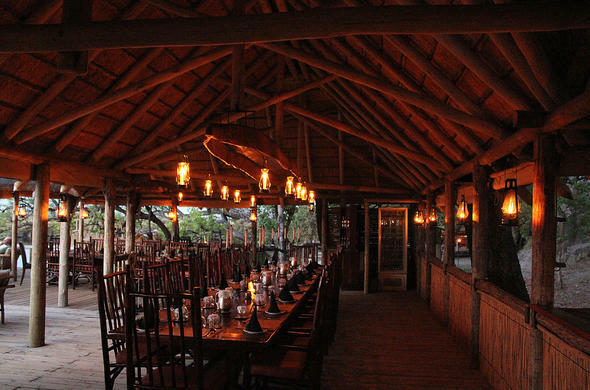 Some Botswana game lodges however stand out when it comes to the quality and variety of their dishes. On a recent trip in the Chobe Region I discovered just how good safari food can be. A comment that is often heard from tourists on safari is that "I've put on weight! All we do is eat and watch animals!" What a predicament! However it is somewhat true. 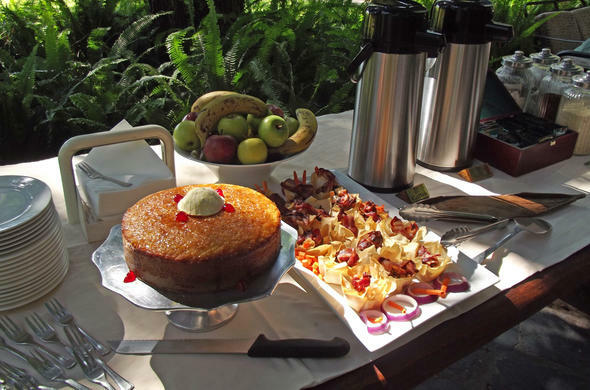 A typical safari day at many lodges involves the following - you will receive a snack before your morning game drive followed by a sumptuous brunch. Just a short while later this is followed by a high tea, before your afternoon activity. You'll probably have sundowners accompanied by more snacks followed by dinner, which can often stretch to three or more courses. However there are some lodges whose food stands out. Foodies and gourmands on safari can now look forward to delicious cuisine if they know where to look. 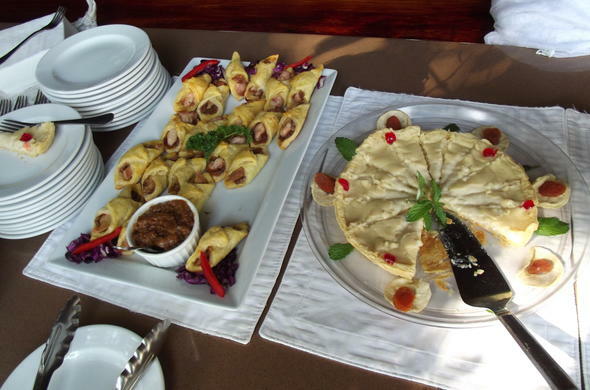 Many lodges in Botswana have exceptional reputations when it comes to their cooking. If there's one thing these lodges know how to do its brunch. Pizza for breakfast anyone? Lasagne with a side of Bacon and Eggs may not be to everyone's taste, but are on offer. Omelettes to order, cheeseboards and even pudding can all appear at brunch - yum. 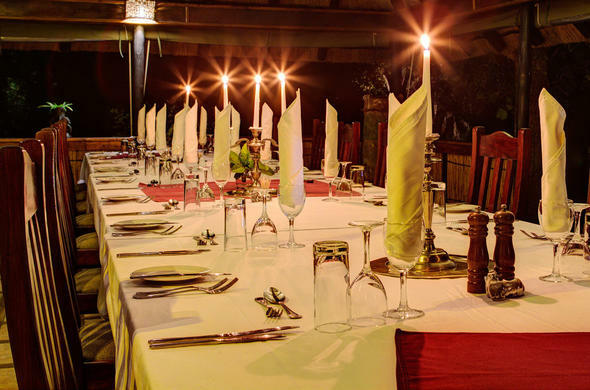 Some of us were lucky enough to enjoy a safari in the Chobe region of Botswana and can vouch for how delicious the food is that is served at some botswana game lodges. This beautiful lodge overlooks the Caprivi Strip and is in western Chobe. Dinner at Muchenje was served family style, with everyone sitting at a long table, creating a very inviting atmosphere. Muchenje Safari Lodge stood out for their delicious cheese soufflé that was served as a starter. We all dived in appreciatively. A generous main was followed by a gooey, sticky date pudding that hit the spot. This is an up-market hotel in the Chobe region. It is frequented by celebrities such as Elizabeth Taylor and Bill Gates as well as us lesser mortals. 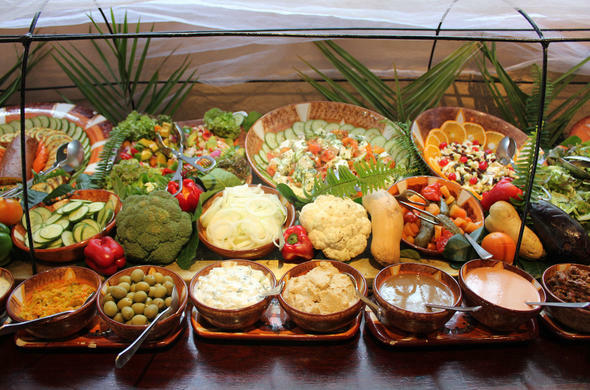 Chobe Game Lodge stood out for its large buffet selections which offered many local dishes. We were bewildered by the wide variety of different foods in front of us. "I'll try a bit of that, and this. Ooh and that too!" is soon followed by "um, I think my eyes were bigger than my stomach," before they squeeze in a few more mouthfuls. I tried Seswa while at Chobe game Lodge. This is Botswana's national dish, which consists of meat cooked in salted water and then shredded finely. The recipe does not sound particularly appetizing, but long and slow cooking renders the meat, beautifully, and it was one of the tastiest dishes I tried. This lodge is situated in the heart of the Delta and has a stunning outdoor dining deck that has views over the whole lagoon. This is where meals are usually served and dining under the stars is a memorable experience. They made a truly exceptional potato salad with the Mediterranean influences of oranges and olives for lunch which was served with Lasagne and a green salad and pickles. They also served a delicious cheesy vegetable bake the next day and a tasty vegetable potjie. Camp Okavango also served delicious food and had very enthusiastic staff. The service was not intrusive, but your glass was never empty. They also served a tasty high tea with a delicious sticky orange cake and caramelized onion and bacon tartlets. It was here that we enjoyed a refreshing springbok Carpaccio which had an avocado and asparagus topping. Dessert was a rum and banana ice-cream that was very refreshing. Many of the lodges are very self sufficient and make their own bread and chutney's. One of my favourite meals was had a Xakanaxa Camp. This also had to do with the romantic ambiance as the whole dining rooms is lit by oil lamps. We had a stunning tomato soup for a starter, tender seven hour lamb, freshly caught Tilapia and all the trimmings. Pudding was a decadent chocolate tart. For high tea the next afternoon they served a lighter than air chiffon cake, with pineapple and whipped cream that was a decadent treat. Their star piece in our opinion however had to be their biscuits - there were two large jars, one with rusks (dried Afrikaans style biscuits) and the other with biscuits. I'm sorry to say that we were probably responsible for the rate at which they disappeared, but they were very good and we had no regrets.